"It's a bit of a myth that you need to pack your side with spinners. If it's a turning pitch, two should be enough." How much did you enjoy recording the Sky Sports podcasts on your trip to Sri Lanka? Travelling in Sri Lanka isn't all that much fun because there's only one highway and once you've come off that, it can be pretty stop-start. When someone says 'it's two hours away', they basically mean four. So doing the podcasts was a nice way to kill time and it's simple to do, you just need someone to record what you're saying! There's always a load of subjects to discuss, but we only ended up covering two or three at a time. To be honest, Nass is someone I could listen to all day. He really is one of those blokes who doesn't realise how funny he is. We wanted to tell a few stories but also have some serious discussion and I hope we managed to do that. I'm going to miss doing them, but I'm sure there might be the chance to do more in the future. The Women's World T20 gets underway next week. Which players do you see as pivotal to England's prospects in the tournament? As with the England men's team, there are some household names right up there with the world's best, such as Tammy Beaumont and Nat Sciver - and they've got an experienced bowling attack with Anya Shrubsole and Katherine Brunt. But I also think players like Sophie Ecclestone could really come into their own because the pitches will be quite slow. The days of Caribbean pitches being fast and bouncy are gone. I think it's one of the great pities of the modern game that my generation will probably be the last to remember when West Indies cricket was all about fast bowling and how to play the short ball. Whatever's happened to cricket in the West Indies is directly related to the environment there - if you play on slower pitches, it's no surprise that you don't produce lots of fast bowlers. The men's team haven't had a great deal of red-ball cricket ahead of the first Test in Sri Lanka. Do touring teams in general get enough preparation time? Ideally you'd want to play lots of red-ball cricket before a Test series begins, but I don't think that's the reality of the world we live in. For me, this is an issue that gets overplayed. If you look at last summer, India got a lot of stick for their red-ball preparation prior to the Test series. Having said that, Virat Kohli didn't have a great deal of preparation in England but he was the best batsman in the series by a long way. Then you had Pujara, who came over and played red-ball cricket at Yorkshire for the first half of the season and only averaged 14. On the other hand, Jos Buttler, who was probably England's player of the series with the bat, was involved in the IPL and missed the first five games of the County Championship - and that was probably a blessing in disguise! I expect the wicket at Galle will turn but I do think it's a bit of a myth that you need to pack your side with spinners. If it's a turning pitch, two spinners should be enough. Rather than include people who might not end up bowling all that much, I'd prefer to have two very good spinners who can shoulder most of the workload. So for me, it comes down to Moeen Ali and who else? I'd probably be inclined to go with Adil Rashid, but he'll have to do more than just bowl towards the end - along with Mo, he'll need to do the majority of the work. 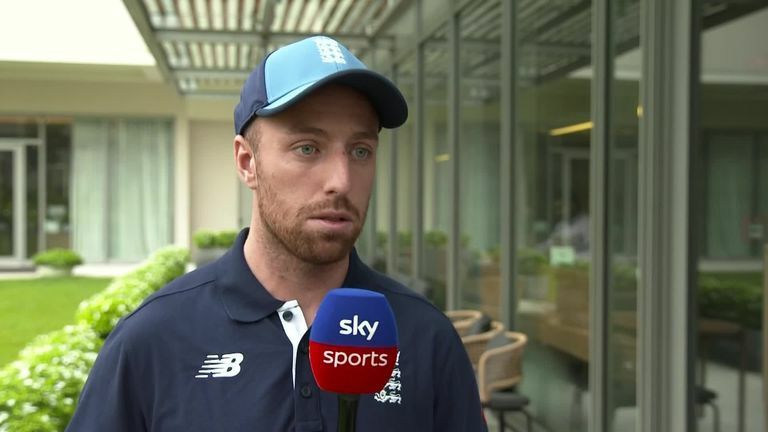 Yes, you could play Jack Leach as well and go with three spinners, but I think that's a luxury - and don't forget, you've got Joe Denly and Joe Root who can bowl as well. With Jonny Bairstow looking unlikely to be fit for the Test, the batting order will need tweaking. Who would you have as your top three? According to Benedict Bermange, England will be going into the Test with their most inexperienced top three for something like 70 years - but it's not as if they'll be blooding a few 19-year-olds. Rory Burns is a proven player and Joe Denly's very experienced. He's played in front of big crowds around the world and he was Man of the Match in the T20 game, which can only have helped his confidence. You've got to look at this as a great opportunity and I would go with Burns, Keaton Jennings and Denly at three, which helps to give you the left and right-hand combination. Personally, I'd never have taken Jennings to Sri Lanka - I'd have had Jason Roy opening the batting instead - but I sincerely hope Jennings proves me wrong. The ECB have just announced changes to the domestic programme from 2020, including a ban on overseas players in the One-Day Cup, which will run at the same time as their new tournament. Is this the death knell for domestic 50-over cricket? It could be the beginning of the end - but I honestly think that, as long as 50-over cricket is still going strong at international level, it'll be fine. We've got the World Cup next summer, which is going to be brilliant to watch. It'll be one great fixture after another, I reckon it's going to grip the nation and if that's the case, domestic 50-over cricket will survive. Cricketers are not going to lose the ability to play 50-over cricket if they don't play it at domestic level - it's a bit like Jos Buttler going from T20 into the Test side and adapting successfully. The new structure might make the 50-over cup an opportunity for counties to look at different players, so some good can certainly come out of and it might make the tournament more special in that regard. Watch the first Test between England and Sri Lanka live on Sky Sports Cricket on Tuesday from 4am.